Year after year, we hear from friends and family about their goals and they usually relate to two familiar themes: losing weight and getting a better hold of their personal finances. There is a reason that we continually hear about these two goals and they inherently are not that much different. They both are hard to achieve, and they usually are not fun to deal with. 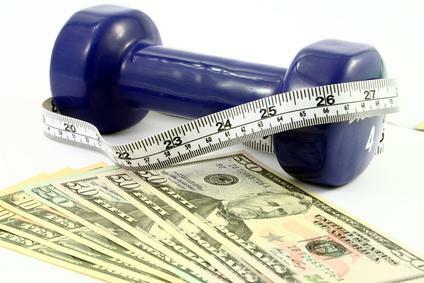 Here are some ideas to help achieve your financial freedom and the similarities to the goal of losing weight. Set Specific Goals: It is important for your goals to be specific and measurable. When setting weight loss goals, most people come up with the exact amount of weight they want to lose and when they want to do it by. The same can be said for getting control of your finances. Instead of setting a goal to just save more money, you should set specific savings goals like saving a certain amount of your paycheck to your employer retirement plan. If it is your goal to pay for your child’s college education, you need to identify the amount of money you want to contribute for tuition payments, and determine how you will reach that goal by identifying a specific amount to save (usually to a 529 college savings plan) on a recurring basis. Come Up with a Plan: Just like coming up with workout or diet plan to achieve your weight loss goal, a crucial step toward achieving your own financial freedom is developing a plan that you can follow and stick to. As a financial planning firm, this is the core of what we do. The basics for any financial plan are related to 5 specific factors: The timing of various goals (retirement, college costs, travel/vacation), understanding how much each of your goals will cost, defining how much you are able/wish to save, determining the appropriate amount of investment risk to take, and identifying how much money, if any, you want to leave as a legacy. Be Honest with Yourself: What often derails a weight loss goal is setting unrealistic expectations. It is important to be honest with yourself when setting your goals. If you go into a weight loss plan thinking that you are going to achieve your goal in two weeks, you are likely doomed to fail from the start. Many people want to buy an ocean front property, but the financial reality may be that it is just not possible. An essential part of coming up with a successful plan is understanding what is possible based on your own circumstances. There Will be Sacrifices: As with all things in life, if you want one thing you most likely will have to give up something else. If you want to lose 20 pounds, but have no plan to exercise or give up fast food, your goals are probably not realistic. The same thing applies to your personal finances and there will always be tradeoffs. Maybe your goal is to retire earlier than you originally planned, and this may require taking more risk in your investment portfolio now. If you want to save some money for your child’s wedding, you may have to take a few years off your charitable donations, and so on. Track your Progress: It has never been easier to track your weight loss plan. Nowadays there are numerous ways to track from wristbands like Fitbit and Apple Watch to apps you can download on your phone to track your activity and record your caloric intake by inputting your daily diet. Like the fitness trackers, there are a variety of financial tools that can help you stay on track to reach your financial goals. Sites like mint.com offer budgeting tools to track your finances that help with monitoring your cash flow to make sure you are living within your means. Other sites also offer the ability to enter in login credentials for all of your accounts to review your net worth and look at the big picture. Here at Thrive, we offer all of these tools and many more through our Client Portal. If it has been your goal to get your finances on track, please don’t hesitate to contact a CFP® professional at Thrive Wealth Management. You can contact us by phone at 215-376-5530 or email at contactus@thrivewealth.com.